Palestine, Texas- The Texas State Railroad is pleased to present its newest signature dining experience on the Piney Woods Excursion Train, the Streamliner Diner. Reminiscent of mid-century rail dining, guests are treated to a delicious meal and spectacular East Texas scenery from our vintage dome and dining rail cars. Departures from Rusk or Palestine feature different equipment so you’re sure not to have the same trip twice! Dare we say there’s nothing finer? 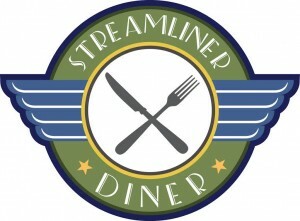 The Streamliner Diner is a limited-time offer on 19 trains running from August 2 through September 7. Departure time is 11am with the train returning to the depot at 3:30pm. If you’re looking for something different to do, that’s also peaceful and relaxing, the Streamliner Diner is for you! Enjoy a nice meal while the train winds its way through the East Texas forest country where this summer’s rains have kept the scenery lush and green, even as we enter the peak of the summer season. Seating is limited and tickets are going fast! For more information on the menu or to make reservations call 903-683-3098 or book online at www.TexasStateRR.com . Our team loves adventure, so when we got a call this week to take a trip down to the Trinity River to see some amazing architecture with long-time Anderson County residents Bo and Jodi Harding, we jumped at the opportunity. We grabbed our rubber boots and camera, then headed west of Palestine to Long Lake. When I first learned that the Excelsior House Players were not having a Christmas play this year, it was very sad. 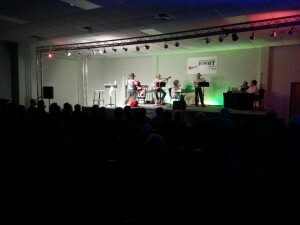 The Excelsior House plays are one of the highlights of the Christmas season’s first two weekends. Last Year’s “Miracle on 34th Street” was as good or better than anything a theatre patron would see on Broadway. My first thought was what can the Office of Tourism Development do to bring a Christmas show to Jefferson?